It is now nearly a half century since the original publication of Technicians of the Sacred (Doubleday Anchor, 1968) and thirty years since the University of California Press published a substantially revised and expanded version in 1985. Over those years the book has remained in print, while it has become the starting point for a dozen subsequent anthologies/assemblages of mine with a focus on ethnopoetics (a field it helped to establish) and a parallel commitment to the poetry and poetics of an experimental and international avant-garde. 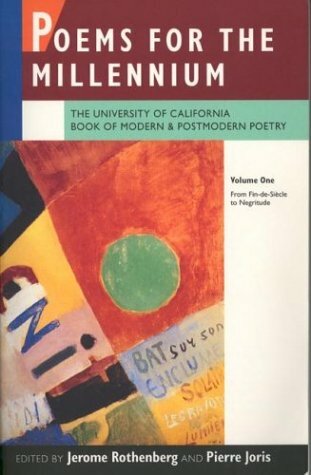 Six of those books were published by the University of California Press, and all but one of them have also remained in print. As was the case when I revised Technicians of the Sacred in 1985, the time has now come for a further expansion and revision, largely to reflect new writings and discoveries over the intervening decades. Most important here is the unprecedented development of a worldwide range of new/old poetries, both written and oral, in many of the world’s indigenous and threatened languages. At the same time poets and scholars have continued the translation and publication of traditional and archaic poetry that has greatly enhanced the range and depth of what we can recognize and read as poetry. A version of Technicians of the Sacred for the 21st century would then appear to be long overdue. – Following the three opening sections (Origins & Namings, Visions & Spels, Death & Defeat) I would add a fourth section tentatively titled “Survivals & Revivals.” This would recognize the changed reality and modify the tragic inflection of the original book, influenced as it was by earlier notions of salvage anthropology and the preservation of extinct or vanishing cultures. Like the other thematic sections this one would have a worldwide reach spanning many continents and cultures, with an emphasis on both linguistic and cultural continuities. 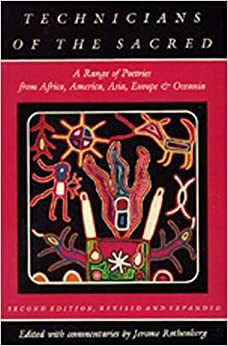 Particularly relevant at present is what amounts to a movement of new poetries in the indigenous languages of the Americas (Mazatec, Zapotec, Quechua, Mapuche, Tzotzil Maya, etc. ), with similar developments to be explored throughout the world. – In light also of the increased recovery and translation of poetries from what I referred to in Technicians of the Sacred as “the ancient near east,” I propose to separate that region from its linkage with Europe and to present it as a sixth and distinct geographical section. This would make up for its relatively sparse appearance as part of the combined “Europe and the Ancient Near East” section in the earlier volume and would allow a wealth of new material to appear in this final version of the book. – With the introduction of these additional materials another major revision would involve the creation of new accompanying commentaries, and I would combine this with some revision and updating of the previous commentaries. This would allow me to take account of more recent critical and scholarly work but also of later experimental poetry that presents analogues to the traditional poems uncovered and shows the impact of ethnopoetics itself on the work of contemporary poets. In the years since then, along with the continued decimation of many poetries and languages, there has been a welcome resurgence in others of what was thought to have been irrevocably lost. This has taken place both in indigenous languages (sometimes called “endangered” or “stateless”) and in the languages of conquest – in written and experimental forms as well as in continuing oral traditions, and as often as not showing both a continuity and transformation of the “deep cultures” from which the new poetry emerged. It is with this in mind that the old Ghost Dance song becomes a harbinger for me of what can now be said and represented. My own experience here has been largely with the new indigenous poetries of the Americas, both north and south, but in the course of time I have also begun to explore similar outcroppings across a still greater range of continents and cultures. The new indigenous poets with whom I’ve had direct contact in mutual performance and correspondence write and perform in languages like Nahuatl, Mazatec, Tzotzil, and Mapuche, among those in the Americas, while I can also draw on others (both poets and translators) in Africa, Asia, Europe, and Oceania, to maintain the global balance that characterized the earlier Technicians. I also expect to represent pidgins and creoles, as well as poetry written in languages like English and Spanish but tied in formal and semantic ways to the deep cultures from which they emerge. I read Technicians of the Sacred in the mid-1970s and it was a revelation -- all that wasn't currently taught in my university at least. It alerted me to the the broad possibilities of poetry coming to the English-speaking population (because that was where I was located in the world) from all the areas where most of us didn't know to look. We didn't know how to hear it. So what an amazing gift. I look forward to this new edition. Can't wait!